Following its success with Paladins: Champions of the Realm – which brought the team-based shooter genre to Switch with platform parity and solid performance – developer Hi-Rez Studios has now given its other big online hit the same handheld-friendly treatment. While Paladins has proved itself to be Overwatch’s only real competition, Smite’s MOBA-style has been giving the likes of League of Legends and Dota 2 a good run for their money. But can this god-battling multiplayer brawler bring its full experience to Nintendo’s hardware without too much concession? Thankfully, we’re not getting another Fight of Gods. While its roster of armoured deities is very much a recognisable bunch, you won’t have to worry about battling a steroid-addled Jesus (well, technically you can play as the Hindu god Ganesha, but at least they're treated with a little more creative respect). Of course, if you do happen to find using Norse gods or Arthurian legends offensive on a spiritual level, then perhaps this isn’t the game for you. For everyone else, you’ll have access to over 90 gods and goddesses from across history – with more no doubt due to arrive in future updates. While still in something of a beta phase on Nintendo Switch at the moment, Smite is nevertheless another prime example – at least from a technical standpoint – of how to port an online-focused experience to a handheld-friendly console. 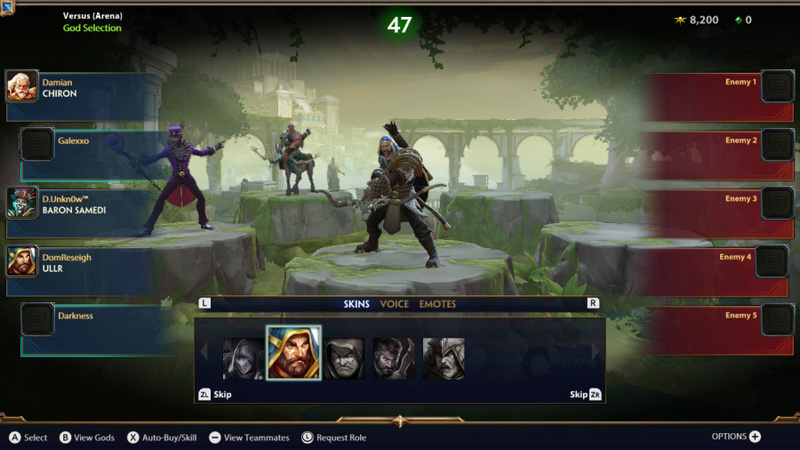 With support for cross-play (a feature that was also patched into Paladins at the end of last year), new adopters on Switch can start playing right away with Smite’s mix of team and objective based modes. Of course, this being a MOBA (multiplayer online battle arena), gameplay boils down to the same simple set of rules. 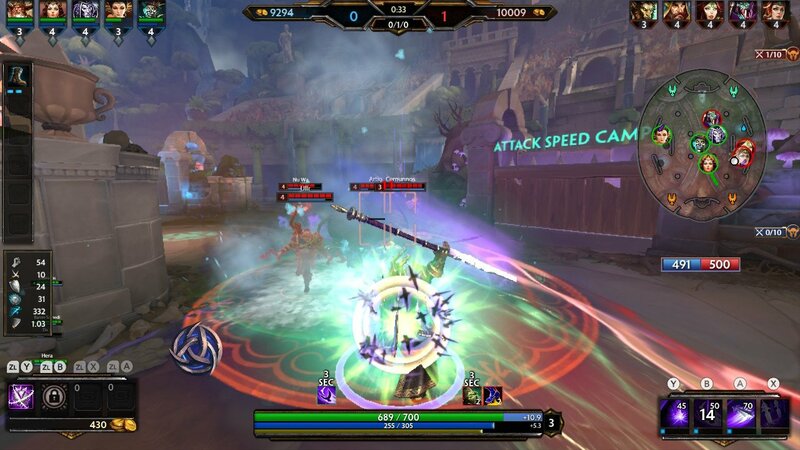 Two teams of gods need to reach a certain score, and can rack up tickets by either killing other player-controlled deities, slaying various minions (controlled by the CPU) or guiding their own team’s minions to a portal on the other side of the map. 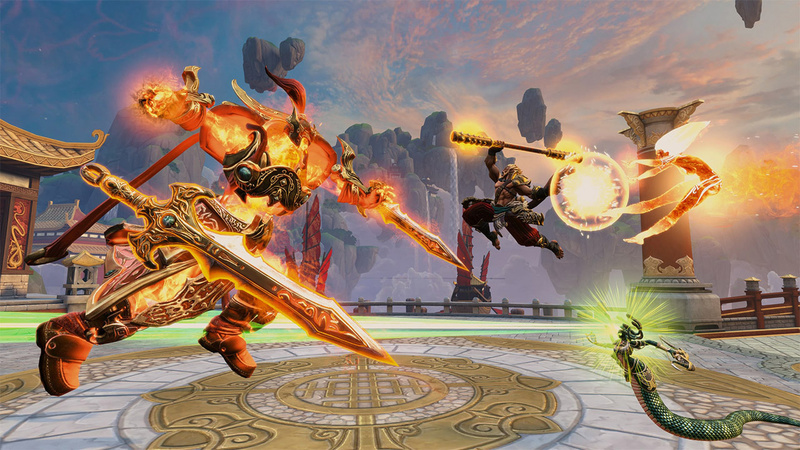 Much like Paladins, Smite’s roster is divided into classes that each offer a different set of core skills and loadouts. Hunters are good for griefing others from range; Mages are ideal for taking out lots of foes at once with AOE attacks; Assassins are all about speed and quick kills; Guardians are slow but dole out lots of damage and Warriors are your classic all-rounder. Much like Paladins and other MOBAs, the key is finding the right balance of classes. Too many Assassins and Warriors and there’s very little room for manoeuvre when things go wrong. Too many Hunters and you’ll be too weak to hold back enemies that try and blitz you with sheer might. Each character has their own set of core skills that can be upgraded with gold earned during a match, and you can also buy items to help restore health or buff your stats. Every arena has a safe zone where you can return to refill your health, but doing so will take you out of the action, potentially allowing the enemy side to push forwards. It’s a far more tactical experience than Hi-Rez’s other franchise and one that takes a little longer to master as a result. The need to rush down lanes (every map is divided into a series of open-ended corridors) is still there, but by pulling the camera away from the top-down view that’s become so synonymous with the genre (even on Switch with the likes of Arena of Valor) and placing it behind your chosen holy avatar, every battle is that bit more intense as a result. It places a greater onus on communication between players as you no longer have the advantage of seeing further into the area. Even ranged players need to be within a certain distance to make their hits land. Ambushes and sneak attacks can be the act that often turns the tide of a match, if pulled off right. 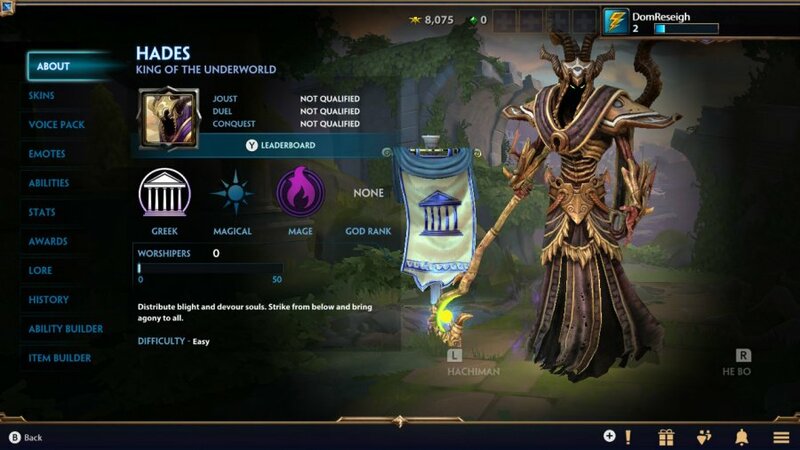 As we mentioned earlier, Smite is a fine example of how to port an existing title with serious graphical and processing demands to Switch. Character models and arenas all look remarkably close to their iterations on other platforms, and we experienced very little lag when playing online (less than we experienced when reviewing Paladins during its launch week). There’s a noticeable wait for characters to load in the pre-game lobby and the roster screens, but it’s a small price to pay considering there’s full support for all the themed skins and items found elsewhere. We did experience some issues connecting to matches – with more failed connections that we’d prefer – but we’ll chalk that up to early release server jitters for now. Smite is a free-to-play game, but it isn’t free-to-play right now on Nintendo Switch. It’s currently in a closed beta, so the only way you can play right now is to pay for a bundle that includes the free game and the paid-for Founder’s Pack. This is DLC that’s bundled with Smite, and will set you back just under £25. If you’re a current Smite player, such a paywall will be a real roadblock, but if you’re new to the game and you’re sold on the idea of a meatier MOBA on Switch, then you do get quite a lot in the Founder’s Pack. Every god is available from the off, and you’ll have access to every new one that’s released in the future. You get some gems to spend on skins or items, as well as some skins unlocked from the start (one of which is exclusive to Switch). 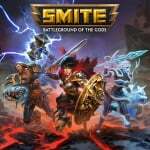 It’s frustrating because Smite is a great game, and Switch players are getting access to a version that’s been refined and carefully calibrated through years of support, but its Switch install base will likely expand at a much slower rate until Hi-Rez makes it fully free-to-play at a later date. Smite was a great and fresh take on the MOBA formula back in 2014, and it’s only gotten better thanks to a consistent amount of new gods, themed events and eSports support. So Switch players are getting this game in its most evolved form, with a roster that's pushing three figures and a vast number of modes to unlock and enjoy. It does have a higher difficulty curve than the likes of Arena of Valor, and there’s a slow grind to earn skins via the Season Pass, but the game itself is one of the best entries in the genre and it’s right here on Switch – a cause for celebration and no mistake. However, until the game goes to free-to-play for all users, that paywall is going to hamper its chances of online success. Smite be a good choice. im liking it but i have one question that maybe someone can answer for me....is there voice chat and if so how do i use it with this game....i see other players with speakers next to thier name so assume there's some kind of voice chat. I’ll be giving this a shot. ...Will they eventually have those high dollar music videos like League Of Legends??? Is it just me or has every game reviewed on this website over the past week received an 8? Maybe it's a coincidence, or maybe I'm wrong. I never did play this so I'm not saying it doesn't deserve the score. Just making an observation. @Painkiller_Mike on one hand think this is because there are tons of great games being put on the Switch right now but I am slightly concerned that Alex did a video on this game that was sponsored by the games creators. I do trust NL enough that everything has been done impartially but the timing on the video preview and review could have been handled better. Hey, just curious. If I owned it on PC and decided to buy it on Switch can I still link my accounts after or can I only link a free Switch account to my PC account? I don't want to double dip it I can't link if I buy and can only link using the future free version on Switch. @SpacedDuck as it currently stands, no. However, I’d be hopeful. Hirez have recently implemented cross platform progression/stats for Xbox and PC on Paladins and have said they are capable of doing so for other consoles, it only being a matter of opportunity. Given Smite and Paladins already have cross platform play, I have little doubt they’ll be adding the option to link your accounts in the near future. Are you saying previously other scores has been given on this site? I'd have to search thoroughly to find those. @Painkiller_Mike I don find this site rarely gives anything below a 7 outside of the truly awful shovel ware. Really? This is what you call a game with serioys graphical processing demand? @SpacedDuck. If they do what they did with the PS4 and Xbox platforms then I would say yes there is a good chance they will do the same with switch accounts. @Deanster101 There are very few 11 and 12 yr Olds playing this game tbh. I was hooked on Paladins until Warframe came along. Now warframe is the only game I’m am playing on Switch and that’s been the case since it’s release. It has so much more depth than the battle royal free to play games. This would have to be so much better to entice me. I played this on PS4 a while ago and it was boring as hell. Even Fifa 18 is less boring than this. I guess Hi-Rez Studios' games aren't really for me, but they're all pretty much rip-offs of more popular games anyways, especially Realm Royale which just looks like a 1:1 copy of Fortnite (and plays almost the exact same way) and Paladins which is just medieval fantasy Overwatch. Eh, I'll pass. If I learned anything from playing League of Legends it's that these type of games are only fun with friends for the social aspect, at least to me. Couldn't ever get into playing them alone and didn't think they were worth taking seriously. Glad to hear it's good, though. Anyone know when the free to play option will hit? I feel like this was a rushed review and it didn't really explain what you do in the games different modes or even highlight how 'Conquest' is the traditional 5v5 MOBA experience or at least, SMITE's take on it. It briefly mentions how being a 'MOBA' it boils down to the "same set of rules" but then goes on to detail the Arena Deathmatch mode and not the actual Conquest mode. It briefly touched upon how a class does this and some of the bare basics but it doesn't explain how item and gold management come into play, the map control, counter picks for gods etc. The rest of the review is good but i'm a little disappointed. Oh boy, barely up and already people are whining about the review. @Aneira I'm just saying that lately I've noticed them handing out 8's like if it were candy on Halloween. I checked their reviews for the month of January just to make sure and it looks like I'm correct in my assessment. @Mqblank I'm certain that some of those games deserve the score but there are just as many that are questionable. Eights all around. You get an 8. And you get an 8. Everyone look under their chair because there just might be an envelope with the number 8 on it. Haha! @SpacedDuck And you don't find that to be strange? I haven't played Smite in a long time. My two main Gods were Bacchus and Serqet. I used to destroy people with my friends back then. I'm trying to get my brother to play this game, but he's not interested. Unfortunate. I might get it just to have something to play (besides Smash) during my break at work. The problem is that they are very limited on what they can review. The eShop releases dozens upon dozens of games each week, all of them covering a wide variety of quality: abyssmal, kjhgfdsdfghj, mediocre, average, good and greats. But this site have so much power to cover a small fraction of those and when it comes to choose, they go primarily for the goods and greats...ergo, 8s galore. Don't worry, if they reviewed EVERY single eShop release as they did in the past for systems like Wii and the like, the score rainbow would be far broader. I feel like that's a really high rating for this game. I've played both this an LoL and LoL is really in a league of it's own in terms of MOBAs, which HoTS and AoV are the only real serious contenders. Smite just feels too heavy and clunky to me to be fun. @Yomerodes You bring up a valid point however it doesn't make it look any less suspicious. Up to this point I have tried all the free to plays on the Nintendo Switch and I can say I lost interest rather quickly in everyone except for Warframe . They allways feel like a candy shell with a hollow center to me with the exception of Warframe, which I can say is fantastic and you never feel like your missing out if you don't make a purchase in Warframe I can't say the same for the other free to play titles where your always looking at a buy now screen to progress. @Yomerodes, It is crazy the amount of games at this point getting released each week on the Nintendo Switch. I have gave up trying to keep track of all the games . Nintendo really and I stress really needs to update the Switch eshop even the 3DS eshop is so much better I don't know why they don't use the 3DS eshop model . Smite is a very good game indeed I've been playing it (casually) for a good while and I'm very glad it's on Switch! Be sure to try it! @Deanster101 Just the mention of Teamspeak in this day and age sends shivers down my spine. Gonna go with the notion that you're simply calling the team voice chat "the teamspeak", but if not: Join the Discord family, please, let TS die in peace. @Mqblank I was just saying this about their Observer preview which was quite favourable and ads are everywhere on NL. People jumped on me for it but Observer had some serious issues on xbox one and I’d hate for NL to avoid talking about them because of ad revenue. My biggest hope is they actually polished the switch version more cause underneath the issues is a great game. @Laxeybobby i so wanted to love Warframe, but i just cant see the detail well enough on the handheld screen 2 play it like i want to (stealth, w distant headshots, etc). If I'm going to play on a tv, I'll just play destiny 2. I play galak-z variant s & laggy a** arena of valor. @TheMadPolarBear “Each character has their own set of core skills that can be upgraded with gold earned during a match“ this section is already wrong and not how the game works. I agree they shouldve either left Arena out focused on the conquest gameplay or mentioned all the modes. As a longtime Smite player, this review doesn’t help any new players at all. Creative respect. That is one of the key differences between this game's use of religions than that other game. While I still think it would be out of place to have a character like Jesus in any sort of combat role, this game portrays this sort of thing with a lot more dignity than that mockery did. As to MOBAs my only experience with them was a roommate I had for a semester in college. I have no idea how he did not fail all of his classes - because though he went to class and slept like 3 hours a day, the rest of the time he was handcuffed to his PC playing League of Legends. I'll probably give it a go when is free-to-play version is up and running, but right now I've heard its a buggy mess on PC thats beyond redemption. And also I'm having way too much fun with Arena of Valor anyway. Does anyone know if it has motion controls for gyro aiming? @Painkiller_Mike didn't say that at all. Just agreed with you they many of their reviews seem high. Personally I don't come here for reviews though. I come for news etc. The odd indie review is handy here and there on this site though. @SpacedDuck Funny we share that in common. This is one of the few Nintendo Switch websites that appears to be somewhat legit. I don't remember what article but they sourced a website by the name GoNintendo. I go to check it out and their articles are literally a paragraph long. Zero reviews and they even have the nerve to post IGN videos with once again a brief one paragraph description but they write it as if the video is their own. What a scam website. Just posting other people's content just to generate ad revenue. The only game to frustrate me to the point of destroying my own keyboard...and that happened twice. I'm sure there are people who dig these kinds of games, but this just felt like a clunky mess with a barrier to entry the size of the Great Wall of China. Last time I considered playing, I literally found myself resorting to watching well-put-together training videos, like it was a continuing-Ed class for a job. That's about the point when I realized this game was no longer worth my time. @misterMike I meant clunky in terms of controls, I went into it going from Paragon, which played like an Unreal Tournament game. Otherwise, yeah, I won't say it's a terrible game, just like how the Great Wall of China wasn't a terrible wall. It was just, you know, a massive waste of time and resources that failed to fullfill its purpose of being a fun game that I could play on my console and/or computer. Nice i have this on pc its a fun game! @misterMike Paragon failed due to mismanagement, it had good ideas at it's core. I'm only saying I don't like games that feel like it's going to require 1000s of hours before I start having fun. I put in plenty of time on the PC & PS4 versions, too, but only because as you pointed out, there aren't any other MOBAs on consoles. That doesn't mean I shouldn't demand higher standards from what's there, though. Especially from a live-service F2P game like this, where the game might make significant chages in a year or two to remain relevant. I already saw that with Paladins. I was not being funny. I was dead serious. That's how ridiculous it is throwing 8's about. Could we maybe opt for a score system defining whether it's a good 8, a great 8 or an average 8? Seems like it's needed. @misterMike I wasn't arguing the review score man, I'm not 12. I think we're done here. @Aneira I guess so. If almost every game is going to get an 8 which according to this website means the game is "great", then I guess they should start using decimals as well. Which I personally can't stand. For example, giving a game an 8 or an 8.5. Seriously? You were that torn that you couldn't decide whether the game deserved an 8 (great) or a 9 (must buy) so you took the cowardly route and gave it an 8.5. That's just my personal view on ratings systems that use decimals.